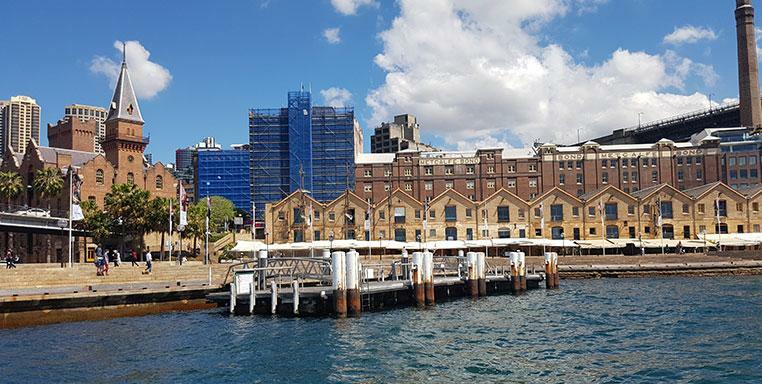 Campbell Cove is in Sydney Cove, right at the foot of The Rocks and it also makes a great place to board your water taxi to explore all that Sydney Harbour has to offer. Campbell Cove includes many fabulous places to stay. The Park Hyatt hotel, Holiday Inn Hotel is to name a few, as well as fine dining like the Italian Village restaurant , Imperial Peking restaurant, Quay Restaurant, or Sydney’s favourite local eatery, Wolfe’s. Live in style, dine in style and when you want to travel in style, choose Majestic Water Taxis. Cruise the harbour, take in the sights, and go to the shows, all on your own luxury water taxi tour. Book your luxury water taxi and come with us around Sydney Harbour. Let us show you and your friends the sights and fun of the world’s greatest waterfront. Give us a call, talk to our local experts, and tell us what you want to see in Sydney. We’ll make sure you have the trip of a lifetime.